Riverford’s blood oranges are grown by a co-operative of small-scale family farms located in and around the foothills of Mount Etna in Sicily. There is a lot of skill involved in growing blood oranges, as so many factors can affect the colouration of its vibrant crimson-streaked flesh. Soil pH and crop variety play a part, but the most important influence is low temperatures during the night. It takes years of experience for the farmers to know when the crop is ready, at which point it is hand harvested using a rolling platform, where the pickers put the fruit straight into baskets and then out to Riverford via their co-op packhouse. Blood oranges are of course wonderful enjoyed as they are, but their balance of sweetness and acidity make them a good addition to winter salads. And considering that blood oranges contain up to three times the amount of Vitamin C compared to most standard oranges, they are timely for fending off those winter colds! Teresa Amodora and her two daughters have been growing Seville oranges on Ave Maria Farm near Seville since 1986. 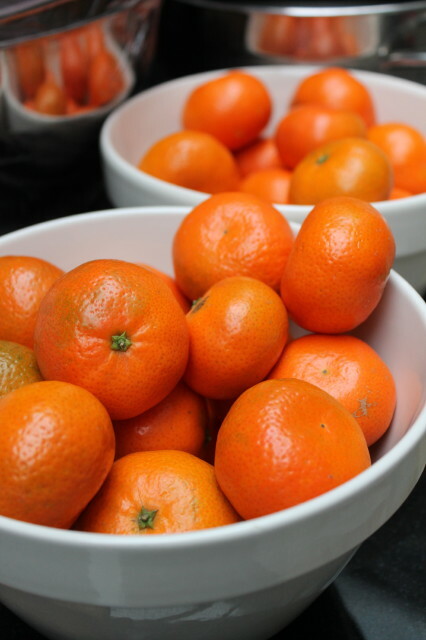 You can’t get much more organic than their groves, and the fruit has the classic aromatic zest and tart flesh that are much sought after by marmalade makers. 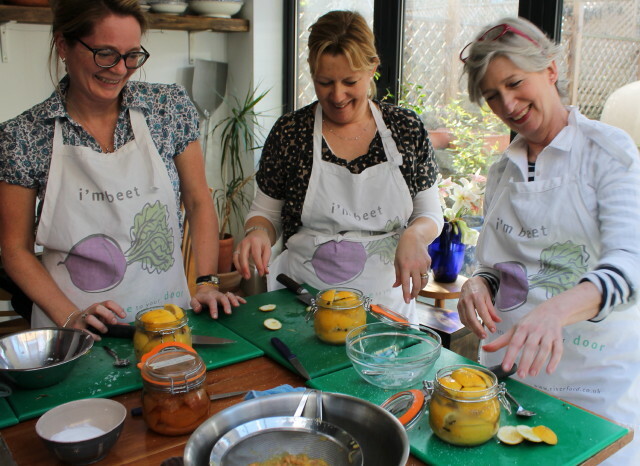 They will be available as a marmalade ‘kit’ along with unwaxed, organic lemons and our much-loved recipe throughout January and February (you’ll need your own sugar and jars). 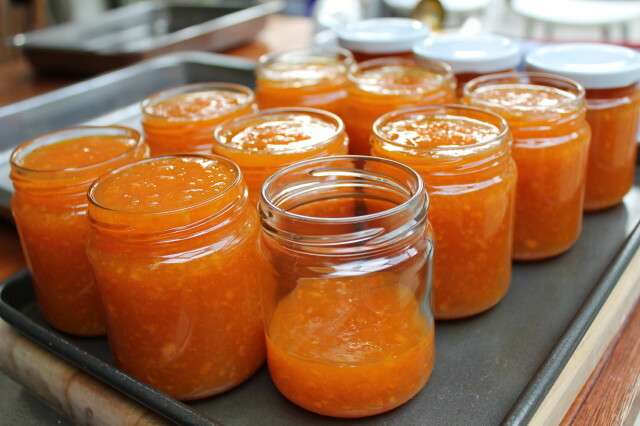 Once made, don’t limit its use to toast; we’ve a super Seville orange marmalade pudding recipe on our website, or alternatively use it for a cracking duck a l’orange. 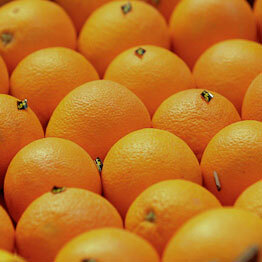 The Spanish citrus season kicked off in November and runs right through until May. You’ll notice the flavour of the fruit changing as the weeks go by, as different varieties come and go. Right now is the peak time for these bright, zesty beauties. Most of our oranges, lemons, clementines and satsumas come from a small group of farmers working in the hills behind Almeria in Spain. The group is headed up by Ginés Garcia, who is fiercely proud of his farm and the biodiversity it supports. He’s even inspired other farmers in the area to join up and convert to organic. Now is also the time to grab blood oranges while they’re around – the flavour is wonderful but the season is short. Ours are grown in the foothills of Mount Etna in Sicily and the depth of their colour depends on light, temperature and variety. 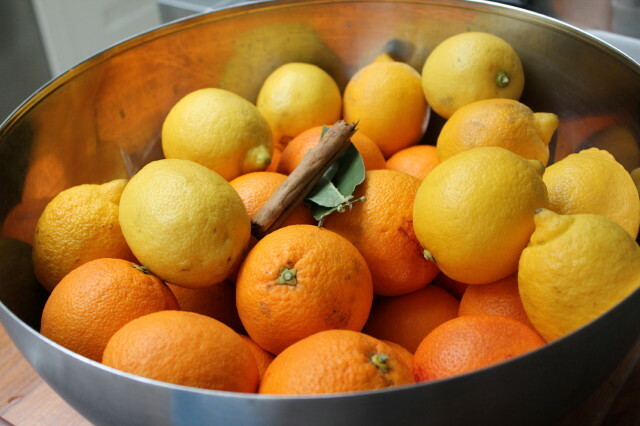 Try them in Jane’s vibrant lemon and orange tart, or squeezed into some chilled Prosecco for a seasonal cocktail. Last January Guy took a trip to Ave Maria Farm near Seville, where 75 year old Amadora and her two daughters have been growing Seville oranges organically since 1986. 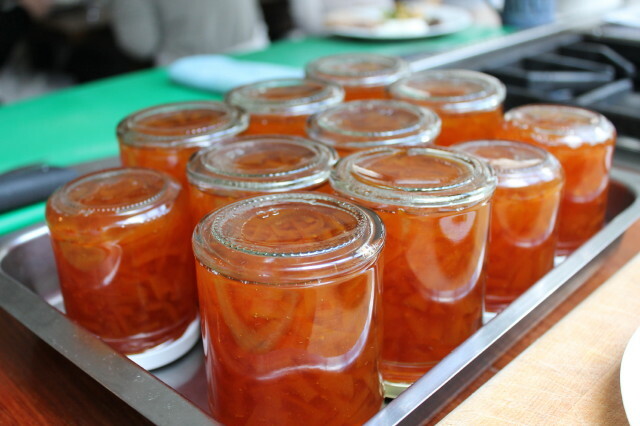 Guy reckons you can’t get much more organic than their beautiful orchards and is convinced that the resulting bitter-flavoured fruit makes the very best marmalade he has tasted. 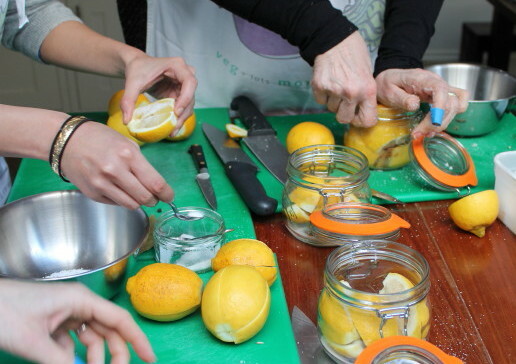 Sevilles are at their best between mid-January and mid-February, so dig out some jars and muslin sharpish. 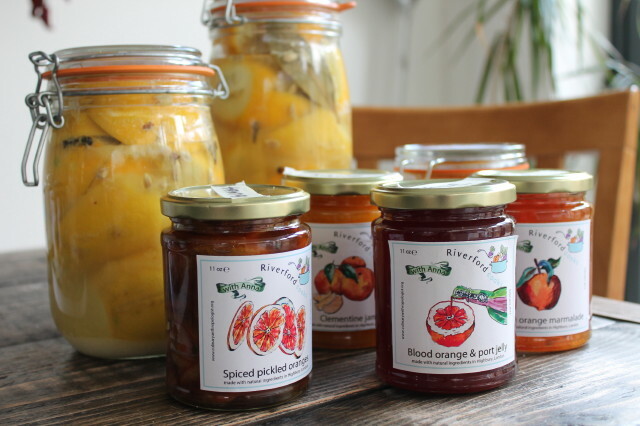 Try our marmalade kit £4.49. 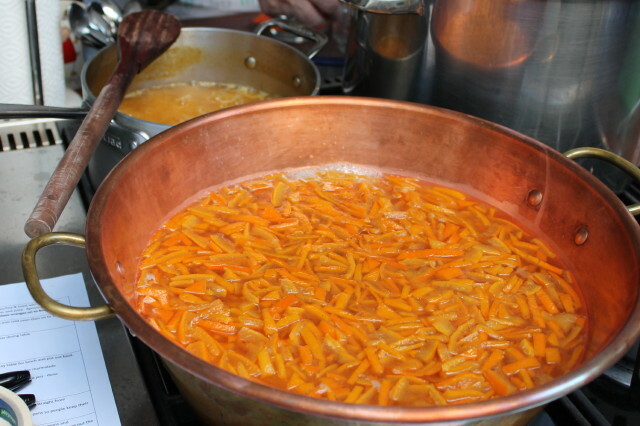 It contains 1.5kg of Amadora’s Seville oranges, two lemons and Jane’s marmalade recipe. You’ll need your own sugar and jars. These look great on the Christmas tree and are easy to make. Use the cocktail stick to make holes all over the fruit and push a clove into each hole. Then, put the fruit in an airing cupboard and leave it for two weeks to dry and go hard or to speed it up, put it in the bottom of a cooling oven. As the fruit dries, it will start to feel lighter and smell stronger. Once it’s dried out, wrap a ribbon round it and tie the ends into a bow. 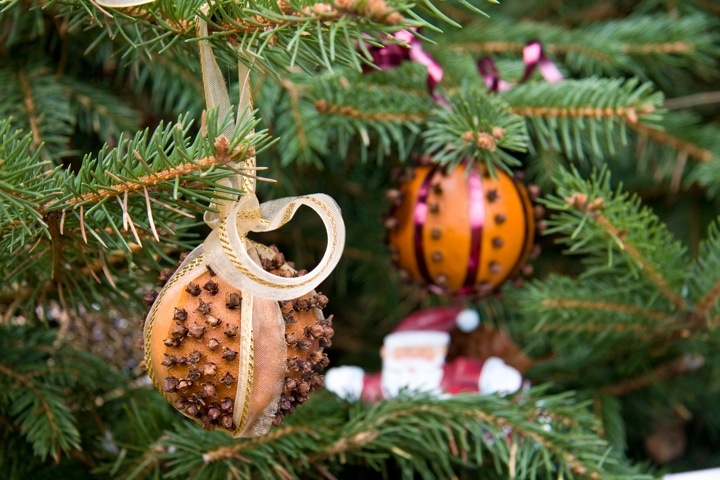 If you want your pomander to smell even more Christmassy, dust some spices over it. Cinnamon and ginger work well.